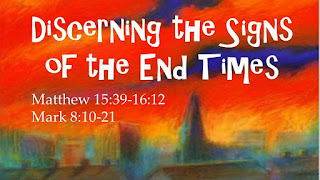 In His ministry Jesus had rebuked the religious leaders, for not "discerning" the signs of the times. Will we make the same mistake? In every century since the first there have been imposters who have claimed to be sent from God, and the 20th and 21st century has had its share. Especially in the last century. Since 9/11 the world has continually been subjected to "wars and rumours of wars" The United States has invaded both Afghanistan, Iraq; various nations have invaded countries in Africa. Indonesia invaded the Aceh Province, while Australia invaded The Solomon Islands. There are many more of these activities which constitute a global "Wars and Rumors of Wars". Almost daily, we have heard such "Wars" and "Rumors of Wars". "Nation will rise against nation, and kingdom against kingdom." The twentieth century has had two world wars, the worst in history. Regional wars that have occurred between North and South Korea, Viet Nam, and Iran and Iraq and elsewhere, also fulfilling his predictions that kingdom would come against kingdom. "There will be famines and earthquakes in various places." In the year 1970 when there were 4,139 recorded earthquakes. Then in 1980 there were 7,348 and in 1990 there were 16,612, more than double the amount in year 1980 and four times the amount in 1970. In 2000 there were 22,256 recorded quakes. The trend has increased dramatically since the start of the 20th century. "All these are the beginning of birth pains." As a woman is ready to give birth, the labor pains get closer and closer together. That's what we are seeing these days - the events are getting closer together. For example just 20 years ago, there would be an event every few months or so, maybe once a year. Now, it just seems like every week there are things happening that remind us that Bible prophecy is being fulfilled and Christ is coming. “Then you will be handed over to be persecuted and put to death, and you will be hated by all nations because of me." Christ’s followers have been killed for their faith in the last century than in most of the previous centuries combined. The global evangelism movement reports an average of 165,000 martyrs a year, more than four times the number in the past century. "And this gospel of the kingdom will be preached in the whole world as a testimony to all nations, and then the end will come." Today the Bible is available in thousands of languages, satellites broadcast Christian programming throughout the world, by radio, TV, the Internet, satellite, and every day, missionaries carry the gospel to people who have never heard it before. The gospel wasn’t always so widespread. Even after 1,500 years of Christianity, the message of Jesus was largely confined to the European continent. But today, the gospel is preached in every nation. Our generation is literally on the verge of spreading the gospel to every last person on earth. I think these should produce Christians an urgency to share their faith. These prophecies written in the Bible thousands of years ago are being fulfilled today. There is no doubt we are living in the end times. 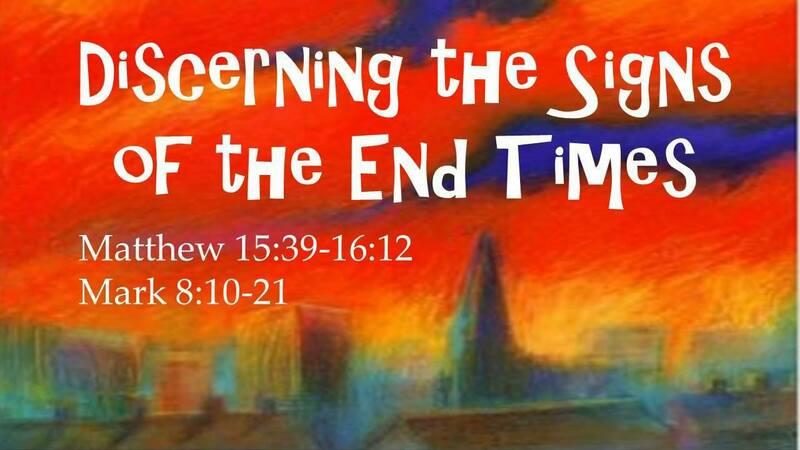 See more end time signs, here.